Body odor is an embarrassing condition that can be hard to keep under control. Maintaining proper hygiene and using deodorants can work for some but products that you use as a part of your regular hygiene routine are believed to strip your skin of beneficial bacteria which causes your skin’s condition to deteriorate. This review is going to examine Motherdirt AO+ Mist. This product is a mist that contains AOBs which are believed to convert ammonia into beneficial byproducts that will help your skin achieve a healthy pH level and keep microorganisms in check. The manufacturer claims that this mist spray will restore a balance to dry or oily skin and will improve skin clarity and the look and feel of dry and uneven skin by 35% within the first four weeks of usage. It is expected to reduce your dependence on products like deodorants, moisturizers, and makeup. The ingredients work by converting ammonia into beneficial byproducts. It is believed that modern hygiene wipes out the beneficial bacteria from your skin. By consuming the ammonia on our skin, the AOBs help keep a healthy pH level. The byproducts help calm the skin and keep other microorganisms in check. Motherdirt recommends shaking the bottle well, picking the areas where you sweat the most and misting once or more a day. Because this product contains live AOBs the manufacturer recommends storing it in the refrigerator. If you are pregnant, nursing or under medical supervision, consult with your doctor before using this product. Motherdirt does not list any possible side effects that can occur from using this mist. One 3.4 fl oz. bottle of AO + Mist is available on the manufacturer’s website for $49.90. There are no bulk purchasing options. The manufacturer does not have any guarantees but in the FAQs they claim that if their product doesn’t work for you, they will issue a refund. Consumer reports claimed that using this mist caused their body odor to worsen. Others reported that the bottle runs out quickly and expressed frustration that the product is too expensive, especially considering how long one bottle will last you. This product seems to be a unique product. It is unique in the way that it approaches skin care treatment from a new angle by tackling an issue that is not generally acknowledged. However, while this mist seems like an original and refreshing product, there are a multitude of consumer complaints. 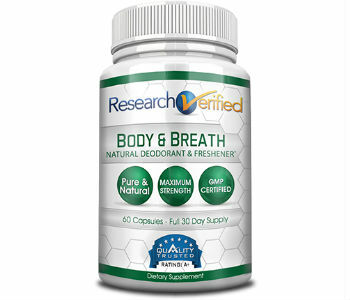 Users claimed that they experienced no effect and others even claimed that it worsed their body odor. 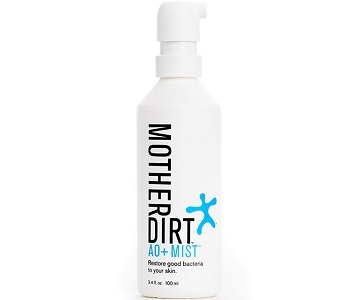 Motherdirt claims that by using their spray, you will be able to cut out other products from your routine, lowering the overall costs of maintaining good hygiene. However, another common complaint was that consumers found this product to be extremely expensive and ran out quickly. Users who followed the dosage recommendation reported that one bottle lasted them only a week and a half to two weeks and the results they saw were not worth repurchasing another bottle. Furthermore, the manufacturer’s guarantee is unclear. We advise that if you choose to move forward with this mist spray you should contact Motherdirt’s customer service beforehand to inquire about their up to date return policy.